This pamphlet was designed as a part of my presentation of GRID TALK at Dutch Design Week 2017 as part of the first ever Antenna group put together by Design Indaba. 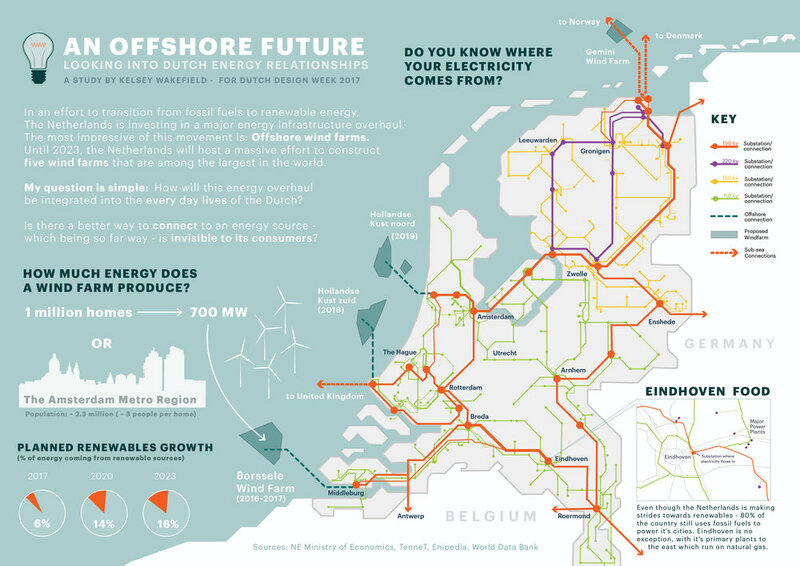 It inquires where Dutch energy comes from now and questions how the new future offshore energy can be better integrated into the public sphere. 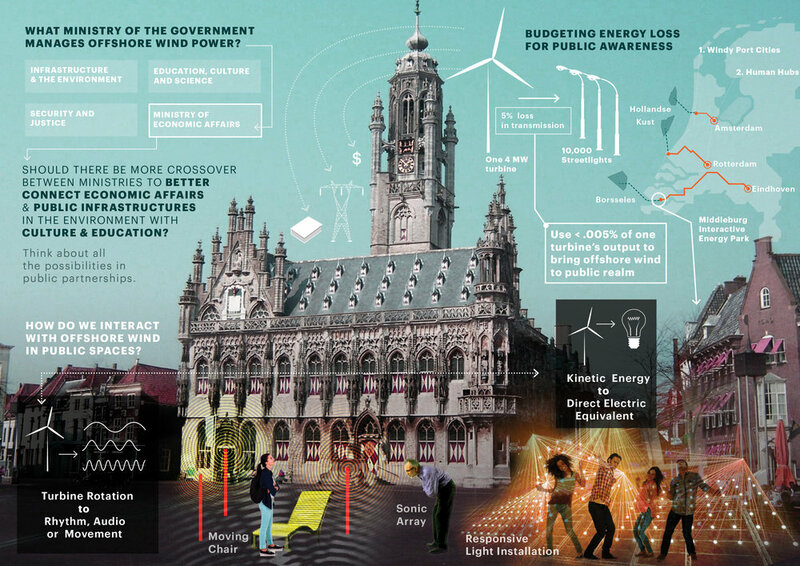 Can a turbine turn on lights in a public square? Can it move a chair, create a different atmosphere, or change our perspective of the offshore? As these new systems tie in, what are we doing to involve the public?